It would be hard to find a more knowledgeable group of young climate change activists than Alex Loznak, Tia Hatton, Aji Piper, and Avery McRae. They read books on environmental legal theories in their spare time. They’re involved in clubs that focus on global climate change. They’re majoring in environmental studies and winning prizes at local science fairs. And they are among 21 plaintiffs, ages 9 to 20, who are suing the federal government in a landmark suit charging that inaction by U.S. elected officials is robbing them of their future by failing to protect them despite their knowledge of the global harms caused by fossil fuels. It is an unusual course of action for kids — but potentially a very effective one. In November, Judge Ann Aiken of the District of Oregon refused a request to dismiss the suit, Juliana v. United States, in a victory for climate change activism. Loznak, 19, has seen evidence of global warming from his own backyard. In the summer of 2015 — the hottest on record for his hometown near Roseburg, Ore. — two wildfires decimated 28,000 acres nearby. Loznak watched columns of smoke rise above his family’s farm like a warning signal. Then, last September, a neighbor’s farm caught fire. Sixty acres of rolling hills and trees shot up in flames in the county’s biggest wildfire of the season. Coincidentally, as firefighters and helicopters worked to douse the flames, Loznak was sitting in a courtroom 60 miles away, in Eugene, listening to arguments that the judge would rule on two months later. “I’ve been really inspired by this case, by our attorneys, and really by a landmark ruling from Judge Aiken declaring that if we can prove the facts of the case at trial — which is the science of climate change, what the government has known, the decision that the government has made — that if we can prove those facts, it is indeed a grave violation of our constitutional rights perpetrated by the government,” Loznak said. 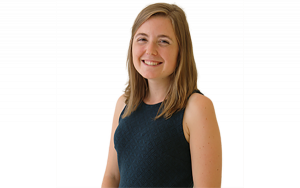 For Hatton, 19, addressing climate change through the courts is their last best hope. “The government’s not doing their job [protecting the environment], and going to the court was necessary in this case to make them do these things that they’re already supposed to be doing, that they haven’t been,” she said. 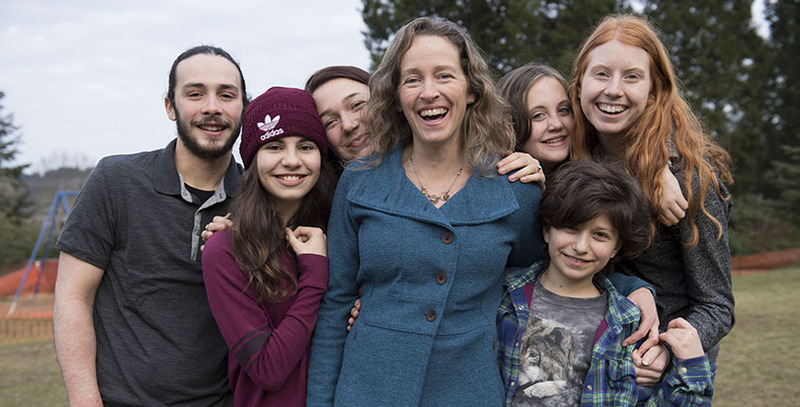 Like many of the plaintiffs in the suit, Hatton belongs to a climate-focused youth group that partners with Our Children’s Trust, a Eugene-based nonprofit that has launched environmental justice lawsuits in all 50 states. She was invited to join in an email from the named plaintiff, Kelsey Juliana, who previously filed an environmental lawsuit against the governor of Oregon in 2011, when she was just 15. Hatton eagerly signed on. So did Piper, who received an email announcing that Our Children’s Trust was starting the federal lawsuit. “I was like, ‘Sign me up … get my name on the plaintiff list,’ ” he said. It’s the second lawsuit for the Seattle 16-year-old: He is already involved in legal action accusing the Washington state Department of Ecology of failing to address climate change. The plaintiffs’ concern isn’t limited to their fellow human beings. McRae, 11, first learned about climate change in kindergarten, when she was reading a book about snow leopards. When she discovered that global warming threatened their environment, she hosted a party to raise funds for the Snow Leopard Trust. The following two years, she did the same thing for salmon and wolves. “There’s something about us putting them in jeopardy that doesn’t feel fair,” McRae said. As the plaintiffs receive an education in climate change law, McRae’s charter school in Eugene has used the opportunity to teach her classmates about the three branches of government. The middle school students at her K-8 school visited the courthouse during the September hearing as a part of a lesson. McRae, who is a sixth-grader, said the students and teachers have been supportive both of her role as a plaintiff and of educating students on environmental science. She often talks to her classmates about the lawsuit and receives encouragement from them. In fifth grade, she was selected to compete in the University of Oregon’s science fair, where her project showing the effect of ocean acidification on shellfish took third place. Loznak also found his interest in climate change amplified by his school experience. Now a sophomore studying sustainable development at Columbia University, he first became interested in climate change at age 9, after watching An Inconvenient Truth. But he said he really learned how to develop his arguments from a favorite seventh-grade teacher, who presented a conservative take on the news in class while encouraging students to challenge those views — including about global warming. Then, in high school, Loznak created a climate change club with the goal of installing solar panels, a project he said other students have continued since his graduation. 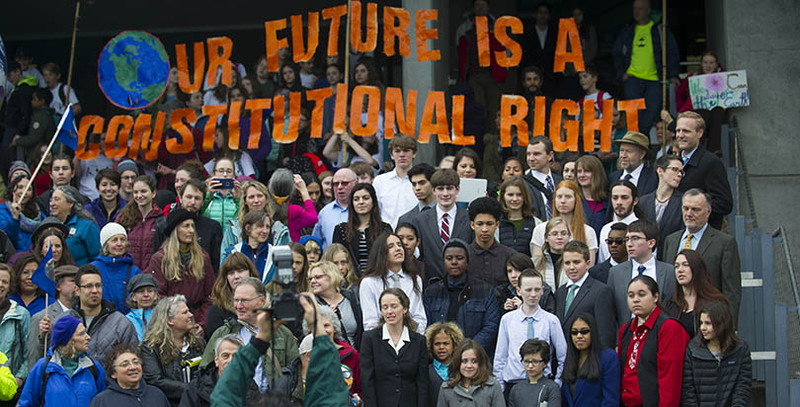 But not all the plaintiffs feel that their schools provided them with a sufficient education about environmental issues — and educators agree that many schools simply don’t do a good job teaching climate change. A survey of 1,500 teachers published last year in Science found that educators spend only a few hours per year on the subject, and two-thirds of students are being taught information that lags behind the latest research. About 30 percent of teachers tell students that humans are only partly to blame for climate change, while 10 percent deny human responsibility entirely. “We have to be taught in schools about what we can do to fight climate change, especially since it’s something so grave of a danger and that we as a generation, my generation, is going to have to live with the effects of,” said Piper. Still, though an overwhelming majority of scientists and studies agree that climate change is caused by human behaviors, like the burning of fossil fuels that increase carbon dioxide in the atmosphere, the place of climate change in curricula continues to be a controversial topic. Last year, the Portland, Ore., school board voted to ban any materials that cast doubt on the existence of climate change and its human causes. But in nearby Idaho, legislators this session removed any reference to human-generated climate change in that state’s science standards. Growing up in the central Oregon city of Bend, Hatton said, she doesn’t remember being taught about climate change in any of her high school classes. She knew what it was, but it wasn’t until limited snowfall canceled her ski races senior year that she realized it was having an immediate impact in her backyard. But now she’s getting a crash course in the topic, both through the lawsuit and in her college studies. Hatton is a sophomore at the University of Oregon, where she’s double majoring in environmental and international studies. A few days before President Barack Obama left office in January, the Department of Justice filed an answer to the plaintiffs’ complaint acknowledging these points: that burning fossil fuels significantly contributes to carbon dioxide levels in the atmosphere, that the federal government had been aware of this for more than 50 years, and that America’s carbon dioxide output accounted for 25 percent of global emissions. The argument that the government should protect the public trust — common resources like land and water — has been around for centuries. But this case uses University of Oregon law professor Mary Wood’s legal theory of atmospheric trust, which argues that the atmosphere is part of the public trust that should be protected by the government, and that its failure to do so must be taken up in the courts. The trial is expected this summer or fall, with President Trump having replaced Obama as the lead defendant. At that time, the judge will determine whether the government’s actions surrounding climate change violated the plaintiffs’ constitutional rights. In the meantime, the students have a list of suggestions that their peers can adopt as activists and advocates for the world they will soon inherit. Write letters to legislators advocating for laws that protect the environment. Recycle. Ride your bike instead of riding in the car. Teach your friends about climate change. Plant trees. Or even join an environmental lawsuit through Our Children’s Trust. “Even if you can’t vote, you still have a voice, everyone has a voice, in the rule of the country and the rule of the world,” McRae said.